1st single「Warm Days」 2018.10.19 Release! 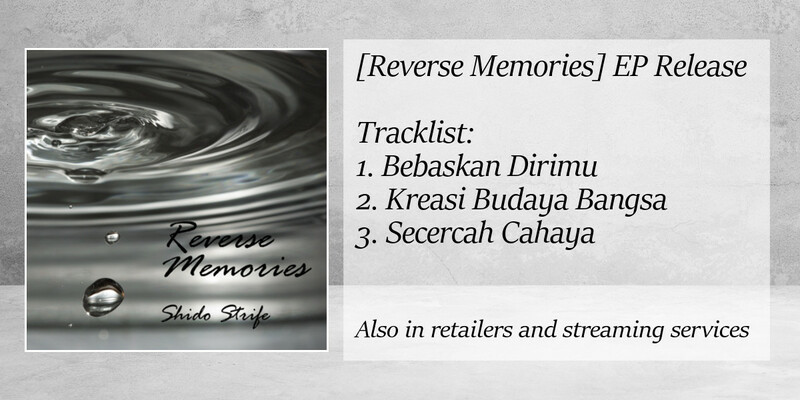 Anyway, these are actually old songs I wrote for my previous band, Reverse Osmosis (got the pun?) but were never recorded. I finally decided to record them all by myself, including the vocals. The lyrics are in Indonesian. I love them so much I didn't bother translating them into English or Japanese. As you may know, I started my career in various bands in Indonesia. Then I moved to Japan and started doing my own solo projects, making music for hire and releasing music digitally. Language barrier, lack of musician friends, and lack of knowledge of Japanese music world prevented me to do live shows for a whole year in Japan. However, that came to a stop when guitarist/vocalist/songwriter KAIRU asked me to support his solo project as a guitarist. The show was held on 4/12 last week at Shinjuku anti-knock. My first show in Japan! Mind you this is only the first of a line of tour to promote KAIRU's latest single "PLASTIC". There will be more shows after this all around Japan. So yeah, not only my first show, but also my first tour, ever. Excerpt from the live show is embed below. See you next time! A big update on my side. I am now doing services in music. This includes composing/arranging music for your videos or games, and also filling in guitar parts for your songs. You could find more details by clicking the "My Service" tab above. And with that, I'm releasing a taster pack of what I'm capable to do. This is a free set of 13 songs in ogg format for use in RPG Maker MV. They should also work in VX or VX Ace, though I couldn't test them. 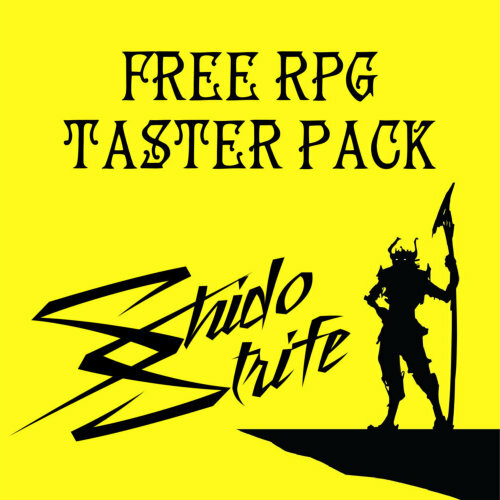 They are licensed for personal or commercial use in your games simply by crediting me. Oh, did I mention that it's FREE? 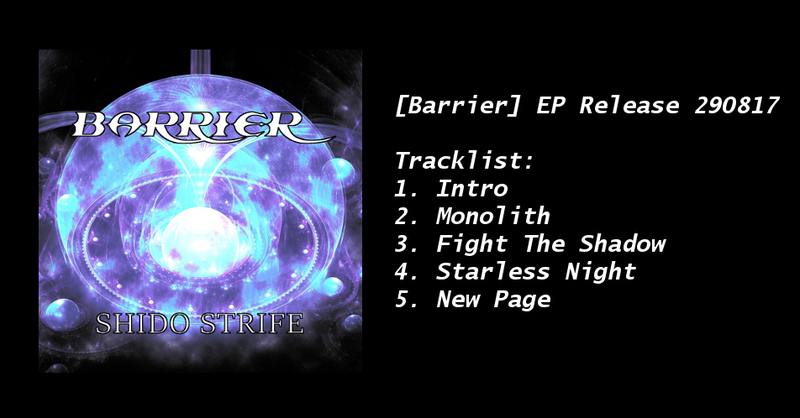 Barrier is my first official release as a solo guitarist. This EP contains four tracks and an intro, all of which are instrumental guitar music. There are two versions available, the free version and the pay what you want (PWYW) version. These two versions are identical, I simply separated them because the PWYW version requires a minimum price. The release will also be available on other platforms such as iTunes, Amazon, Spotify, etc. soon.